 Taste: The coffee beans are hand harvested and dry processed; the dry process method involves drying the cherries, and removing the beans once the cherries are dried. This process adds a slight fruity flavour to the coffee, resulting in a heavy, sweet, and complex brew. Treat yourself to the wonderful flavours of Brazil santos gourmet coffee.